Our highlighted issues, actions, and events in the democracy movement this week--Please share widely. 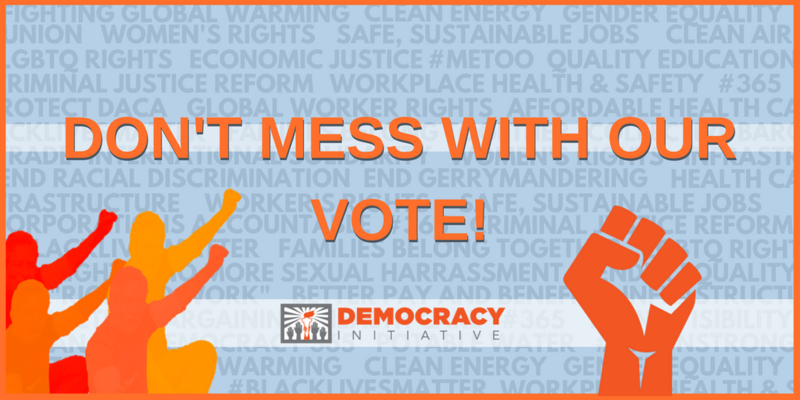 The “Don’t Mess With Our Vote!” Petition officially launched on Monday, August 6, the 53rd anniversary of the signing of the Voting Rights Act. With dark money groups spending millions of dollars in primaries on congressional candidates, and reports of ballot shortages in Oakland County, Michigan, there has never been a better time to join the fight for election integrity and accessibility. We are working with partners to distribute and get signatures on this demand for the protection of voting rights through September 30, through email and social media. This petition is putting politicians on notice, showing solidarity across democracy campaigns, and educating and agitating members. We’ve also provided resources to assist with social media and distribution. Please contact Getachew Kassa at gkassa@democracyinitiative.org to work with us on this campaign. Congratulations to DI partners and allies in Missouri on their huge win against the “Right to Work” referendum. In Tuesday’s primary, labor overcame the tactics of dark money groups and anti-union forces attempting to enforce “Right to Work” in Missouri. A coalition of labor groups, spearheaded by Missouri AFL-CIO, reached an estimated 500,000 voters on the ground, and their organizing efforts paid off with 67% of voters choosing to overturn the RTW law. State Republican legislators even attempted to move the vote from the vote from November to the primary in a gamble for a low turnout. 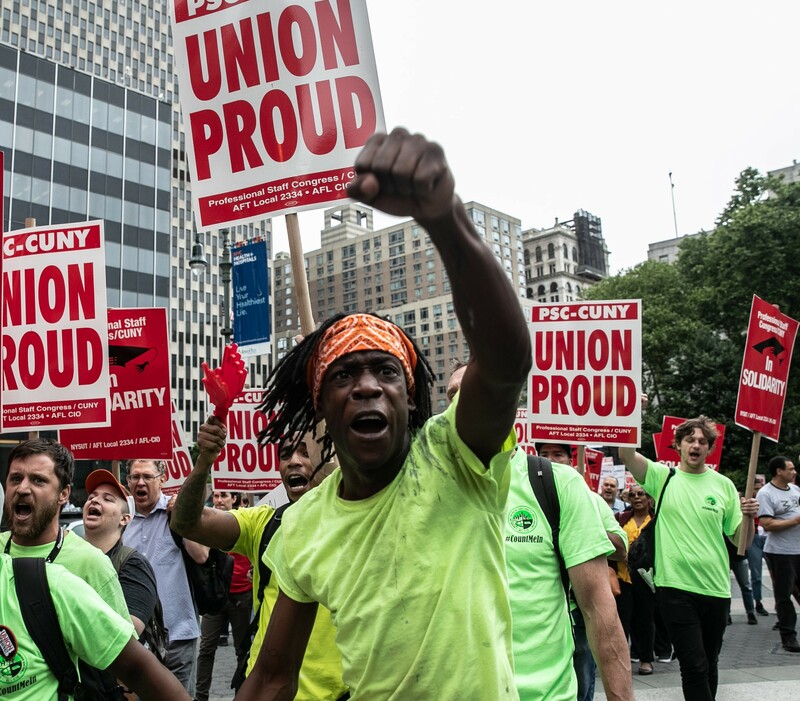 Especially after the Janus v. ASFCME assault on labor, the defeat of Proposition A signals a victory for the right to organize, bargain collectively, and improve pay and benefits for all workers. According to an article in the Detroit Free Press, “Voter turnout in Tuesday’s primary election in Michigan shattered records going back at least as far as 1978.” Ohio’s special election in the 12th Congressional District drew 19%, an unusually high turnout for a special election. Missouri’s primary, which included a referendum on Proposition A, drew a high turnout of 30%. These recent statistics confirm a larger trend toward increased voter participation across the country, an exciting development that bodes well for the upcoming midterms and demonstrates the success of voting rights victories. Michigan saw a record turnout for a primary election, demonstrating how engaged voters feel across the state. We're focused on harnessing that energy to continue to build on our grassroots momentum to pass Proposal 2 on November 6. Our volunteers filled over 500 shifts outside of 215 of the largest voting locations in the state on Tuesday – that's on top of knocking over 90,000 doors since late March. But there is still more work to do. We know that gerrymandering is a low information topic and we will do all that we can – at the doors, on the phones, through partnerships, online, and over the airwaves – to make sure we get our message out about a transparent, citizen-driven redistricting process. We welcome your ideas and support to make this goal a reality. The 2018 midterm election has seen a record number of women running for congressional and gubernatorial races. After Tuesday's primaries, the current total of women representing major parties in gubernatorial races stands at eleven, one higher than last year. In congressional races, 168 women have secured major party nominations, breaking the previous record by one. These numbers are expected to swell as primary season continues, and these new records suggest an encouraging rise of equal representation for women in elected office. One nomination of note is Rashida Tlaib, daughter of Palestinian immigrants, who won the Democratic nomination in Michigan’s 13th district (formerly John Coyer's seat). She would be the first Muslim woman elected to Congress, and is running unopposed. 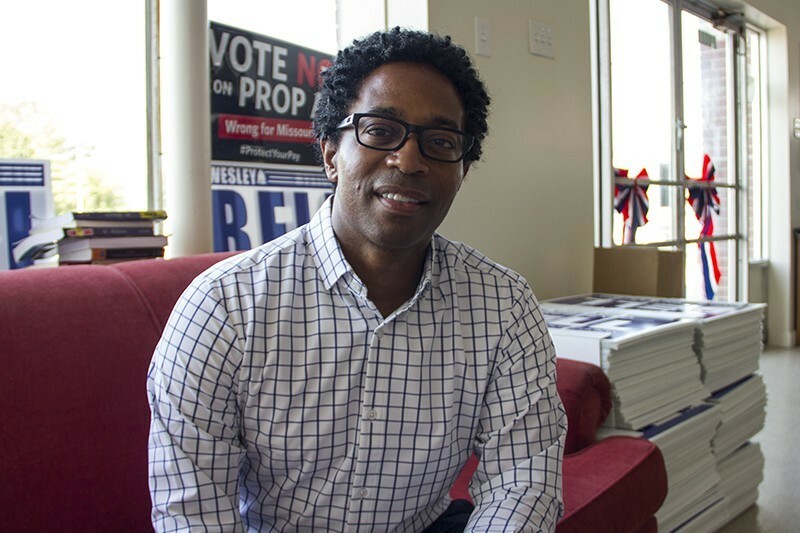 Ferguson City Council Member Wesley Bell, who ran on a platform of ending mass incarceration and reforming cash bail, beat 27 year incumbent Bob McCulloch, who refused to charge the police involved in the killing of Michael Brown, to become St. Louis County’s top prosecutor. More on Wesley Bell and his campaign here. DI partner Nonprofit VOTE is hosting a webinar on Thursday, August 16 at 11am to support groups organizing events for National Voter Registration Day, September 25. The webinar will cover what you need to know to ensure that your voter registration event is a success. They’ll walk you through the field toolkit, point you to a variety of helpful materials and tools provided by their partners and others, and answer any questions you may have. RSVP here. The ballot for this year’s Corporate Accountability Hall of Shame is live, and the competition is fierce. Vote now for the companies you love to hate. 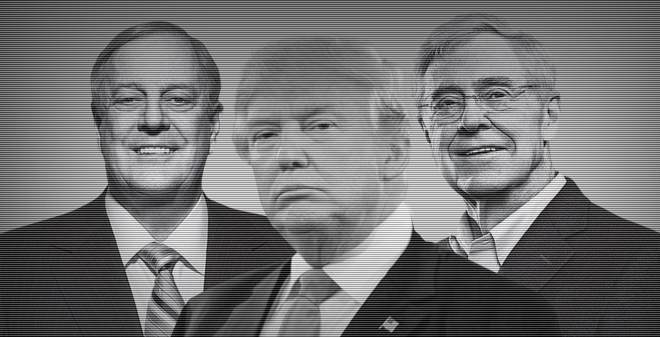 The documentary political thriller Dark Money is out in theaters across the country. The film follows an indefatigable journalist working to expose the real-life impacts of untraceable corporate money on U.S. Politicians and elections. We want to hear from you! Have you seen the movie? What did you think? More about the film, including screening locations and times, can be found at https://www.darkmoneyfilm.com/. Fourth Thursday of every month, at 1pm E.T.